Copies of this self-guided tour of the artwork, history, and educational features of the Knowlton Flight Center are available in the NetJets Lobby. The building open to the public daily from 7 a.m. until 11 p.m. 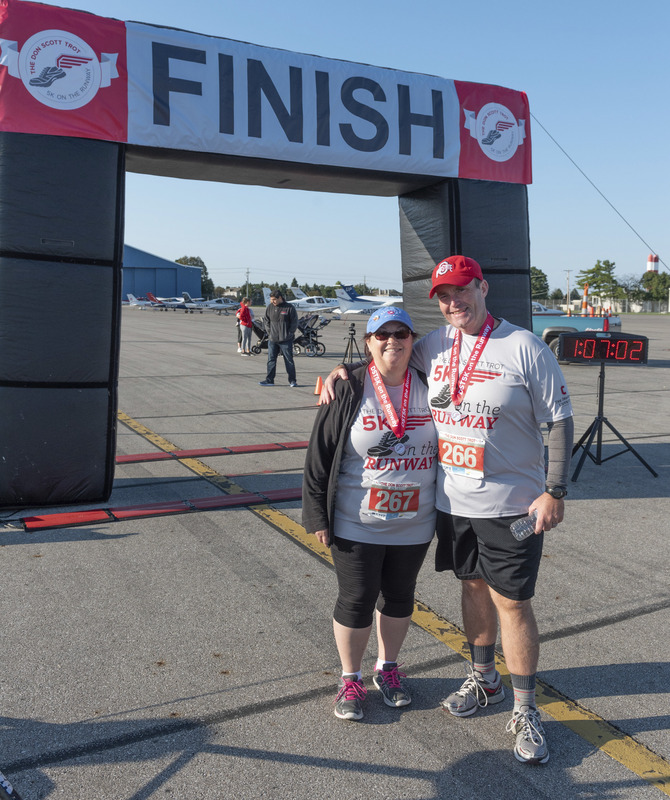 The 2019 Don Scott Trot 5K on the Runway is scheduled for September 28, 2019. The registration link will be available in spring 2019. We hope to see you all in September! Adam Wolf, manager of Ohio State University airport operations, finishes the race with his son. 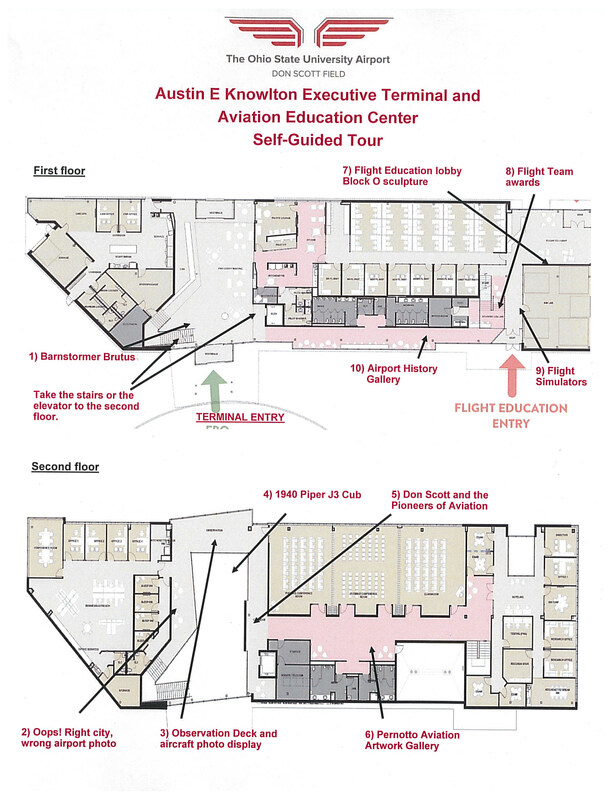 If you would like to schedule a tour of The Ohio State University Airport, please complete the Tour Request Form. Tours are scheduled for grades K-12 and adults for groups of twenty or less. Click here to view a tour brochure for more details. An airport representative will contact you to schedule your tour within 5 business days. Please see our tour guidelines for additional information. Fill out the tour permission form for children under the age of 18. We would love to come and talk to your club or organization about The Ohio State University Airport. Contact Airport Director Doug Hammon at hammon.3@osu.edu for details. Youth Aviation Adventure (YAA) is a fast paced single day event, held at an airport near you, for kids age 12 to 18. At a YAA program you will visit 10 different stations to learn about different facets of aviation. Check out the YAA website to find out the next date for a YAA program.